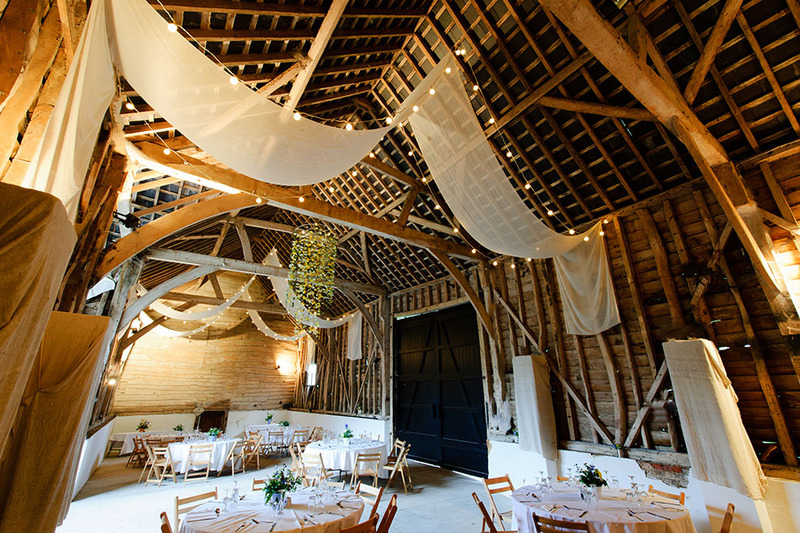 Michelmersh Barn in Romsey was a beautiful location for Freddie and Nicki’s country wedding. The home of Worzel Gummage, it oozed with rustic charm. We listened carefully to the bride and groom’s ideas and worked with them to achieve a beautiful handmade wedding. 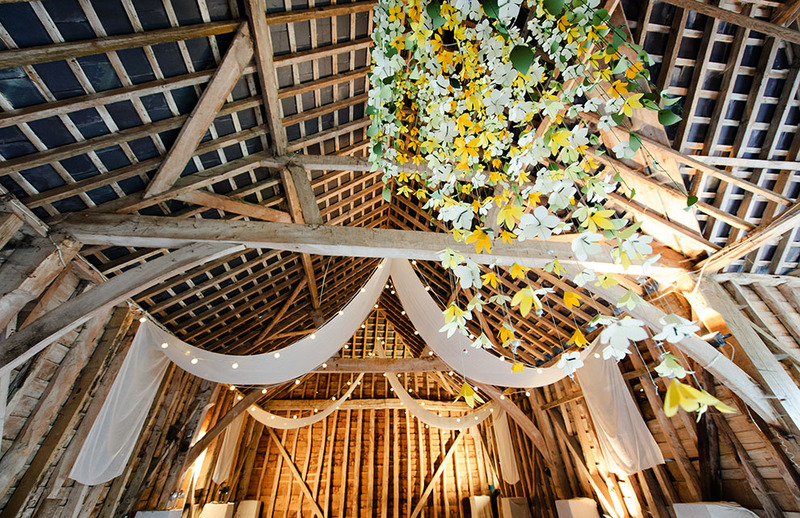 Our clients wanted to create a casual and laid back atmosphere and to emphasise the barns magnificent vaulted ceiling. Using natural unbleached muslin and warm white festoon lights we lowered the ceiling to create a sense of drama and interest. 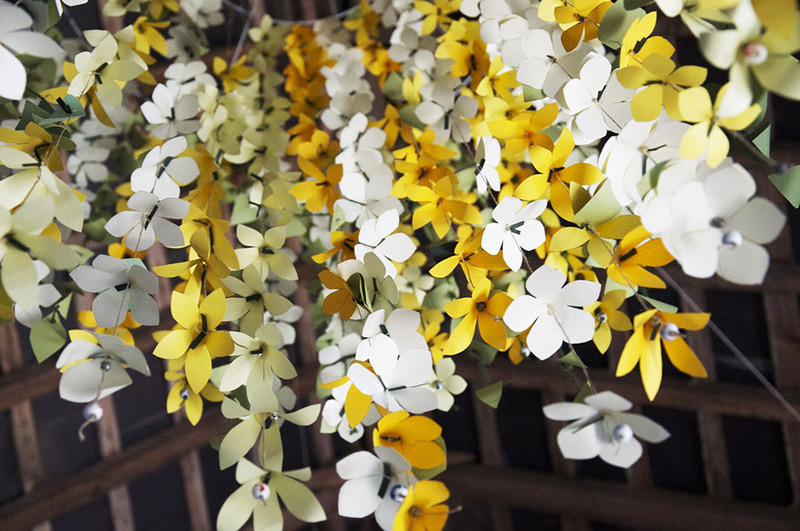 For a centre piece our design team drew up plans for this beautiful paper flower chandelier to hang in the middle of the barn. We supplied instructions and the bride and her hen’s created the chandelier, hand cutting each individual flower during the hen party. The chandelier was the focal point of the dining area. The finished piece was stunning and made with love.